Get Answers to Your Questions, Fast. For your convenience, we have collected a variety of Frequently Asked Questions into one area. What does Hyundai Canada’s warranty cover? Where should I get my vehicle serviced to maintain the warranty? To ensure your vehicle will remain covered by Hyundai Canada’s Warranty, we suggest going to your Hyundai dealership at the recommended intervals prescribed in the Owner’s Manual. Your Hyundai dealer can also answer any questions you have pertaining to the maintenance schedule. Can warranty work be completed at an independent shop? If you sell your vehicle while still under the 5-year/100,000 km warranty, the warranty will be automatically transferred to the new owner at no charge. You can purchase the additional protection plans at any Hyundai dealership. Yes, Hyundai Extended Protection builds on that commitment with a comprehensive suite of vehicle protection products to protect you and your wallet from many expenses resulting from everyday driving. Can I add Hyundai Extended Protection products to my Hyundai vehicle after the initial time of purchase? Yes, products such as Vehicle Service Contract can be added after the initial time of purchase. Please contact your local Hyundai dealership for details. Our Roadside Assistance Program reflects our commitment to the customer’s Hyundai experience. If you should experience an unfortunate circumstance and are stranded on the side of the road, Hyundai’s Roadside Assistance will be available to help you. It is accessible in all our provinces and the United States, 24 hours a day, 365 days a year. This service is available for a period of 5-years/unlimited km after the vehicle’s in-service date (for 2015 model years and up and for 3 years/unlimited km for 2014 models and down). • Towing to transport your vehicle to the nearest Hyundai Dealership or Authorized Service Facility in the unlikely event your vehicle is inoperable. In the event a warranty-covered mechanical disablement occurs more than 100 km away from your home and your vehicle is disabled overnight, due to a repair in process, Hyundai Roadside Assistance will reimburse you for reasonable expenses, such as meals, lodging, or alternate transportation. Trip Interruption Benefit is limited to $300 per trip interruption. Setting up your first appointment to get your Hyundai serviced at a Hyundai dealership is extremely important. It allows you the chance to meet the service advisor and service manager, who can explain your vehicle’s maintenance requirements. You will also be given directions and see first-hand where to pull your vehicle into the service drive. Enter your postal code information and you will be given a list of Hyundai dealerships closest to your home. The dealership’s contact information will be listed under their name. You can request a quote, schedule a test drive, or visit their website by clicking on the links below their contact information. To get driving directions to a dealership, click on which dealer you would like to visit and refer to the right side of the webpage. Click on ‘Get Direction’ button and enter your starting address or postal code, and click the “Get Directions” button. Directions to the Hyundai dealership will appear below. Can my Hyundai dealership handle maintenance, service, and repairs? All Hyundai dealerships are equipped with the tools and knowledge to service and repair any Hyundai vehicle. Some of our dealerships have a bodyshop. Hyundai dealerships’ capabilities go above and beyond basic warranty repairs. Why is it important for my vehicle to be serviced at a Hyundai dealership? Choosing to have your vehicle serviced at a Hyundai dealership ensures that your vehicle is taken care of by a certified Hyundai trained technician who is familiar with the mechanics and background of our vehicles. Our technicians have access to specialized diagnostic systems designed specifically for Hyundai vehicles. Using genuine Hyundai parts, your vehicle will be serviced with the quality of care that it deserves and will ensure that it will run as long as possible backed by our warranty. We strongly encourage our customers to take their vehicles to Hyundai dealerships to continue the established relationship with their customers. It is important to have your Hyundai vehicle serviced at the recommended intervals in order for the vehicle to continue performing at its optimal level. For your Hyundai’s recommended maintenance schedule, please follow the ‘ Maintenance Under Severe Usage Conditions’ in your owner’s manual or contact your Hyundai dealer for a full list of minimum maintenance requirements. You will need to know your vehicle’s driving conditions in order to get an accurate maintenance schedule. Is there a rental vehicle available to me while my vehicle is being repaired? Some, but not all, Hyundai dealerships provide their customers the use of a rental car if their vehicle will require servicing for an extended period of time. Hyundai dealers may place restrictions on the conditions of their rental car. Please contact your Hyundai dealer prior to taking in your vehicle so you fully understand their rental car policy, if they have one. It is important to call the Hyundai dealership prior to visiting the service centre to ensure they are ready to service your vehicle. Do Hyundai dealers provide alternate transportation while my vehicle is being serviced? Some Hyundai dealers will provide you with a service loaner car while some will not. Please check with the dealer to confirm if alternate transportation is available. Additionally, some dealerships can assist you in renting a car at your expense for any other work you may wish to have on your vehicle. It is important you call the dealership to inquire about their policy on loaner vehicles. Service records are imperative to providing proof of maintenance and can add value to the vehicle. As part of your warranty, we require customers to perform all maintenance for Hyundai Canada to uphold its side of the warranty. Service records should be added to your service passport to help verify that maintenance has been performed. This is especially important if your vehicle is serviced by someone other than an authorized Hyundai dealer. Visit your local Hyundai dealer to obtain Genuine Hyundai Parts. Our Genuine Hyundai Parts are designed to meet the standards and specifications of our vehicles. These parts are backed by our warranty. Using after-market parts runs the risk of voiding your warranty should that part cause a defect in the vehicle. Contact your local dealer for details. 1. Go to our dealership locator by clicking on ‘Find a dealer’ here (https://www.hyundaicanada.com/en/shopping-tools/find-a-dealer ). 2. Enter your postal code information and you will be given a list of Hyundai dealerships in your area. In between service visits, there are several things you can do to help keep your vehicle running like new. Below are general guidelines. Please be sure to check your Owner’s Manual for specific information on maintaining your vehicle. • Engine coolant - Check the coolant in your engine often (at least monthly) by checking the reserve tank. Be sure to check the reserve tank and make sure not to remove the radiator cap — the fluid inside is extremely hot. • Lights - Check all of your lights — head, tail, parking, and brake lights, high-mount brake light, turn signals, backup and license plate lights — at least monthly. Why is it important to maintain my vehicle? Proper vehicle maintenance is the most critical step in ensuring the longevity and the value of the vehicle. Maintaining your vehicle will optimize your vehicle’s performance, safety and fuel efficiency. Lastly, adhering to Hyundai’s recommended maintenance schedule will help ensure eligible repairs remain covered by Hyundai Canada’s warranty. What fuel is recommended for use in my vehicle? Your Hyundai is designed to use only unleaded fuel having a pump octane number of 87 or higher. Using unleaded fuel will allow your vehicle to attain maximum performance and will minimize exhaust emissions and spark plug fouling. Please consult your Owner's Manual with further questions. What kind of motor oil is recommended for my vehicle, and how often should the oil be changed? Refer to your Owner’s Manual for the Hyundai-recommended service intervals. Engine oil is the “lifeblood” of your Hyundai. Engine oil provides cooling, lubrication from friction, and cleans and cushions the vital internal components of your vehicle’s engine. Following Hyundai’s recommended service intervals will ensure the engine oil is effective and working to prevent engine damage. Check the engine oil level at every fuel fill-up. Hyundai's engine oil recommendations vary from vehicle to vehicle, and from model year to model year. For the most accurate recommendation, please consult your Owner’s Manual or contact your local Hyundai dealer with further questions. If your vehicle needs to be towed — even if it’s due to an accident — just call Hyundai’s 24-Hour Roadside Assistance at 1-800-268-9958. The driver will tow your vehicle to the nearest Hyundai dealership from the site of emergency. Hyundai Genuine Accessories are offered at every Hyundai dealership. Accessories are features and add-ons that do not come with your vehicle, but can be purchased through Hyundai dealerships. You can choose to purchase these at any time, even after your initial vehicle purchase. Genuine Hyundai Accessories can only be purchased through Hyundai dealerships. Click here https://www.hyundaicanada.com/en/shopping-tools/find-a-dealer to find a dealer near you. 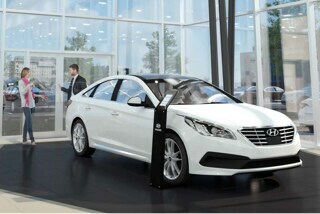 Hyundai Canada covers the dealer-installed Hyundai Genuine Accessory for 3-years/60,000km from the date of installation. Our dealerships are stocked with an array of Genuine Hyundai Parts which are designed to meet the specifications of your vehicle. Some dealerships may also sell after-market parts at their discretion. All Hyundai parts installed by a dealer are covered by a 1-year/20,000 km warranty. I think there is a defect with my tire. Who do I contact? Tires originally equipped on HYUNDAI vehicles are warranted directly by the tire manufacturer. In the event that you need assistance in locating an authorized tire dealership, please contact your authorized HYUNDAI Dealer. Can I change the size of my tires? Hyundai selects original equipment tire size and grade to match the specifications of the vehicle and to optimize ride comfort and handling. When replacing a tire, you should select one of equal size and grade to the original tire and in accordance with loading requirements. Changing the tire size can affect the vehicle's ride comfort and handling performance and can also affect the operation of features such as the speedometer or odometer. Contact your local Hyundai dealer for additional information on suitable tires for your driving needs. How much does Apple CarPlay™ cost? Do I have to pay to have my car upgraded? Apple CarPlay™ support is included on compatible models–there is no separate charge for it and no software update is necessary. What phones work with Apple CarPlay™? CarPlay™ works with iPhone 5® and later models running the iOS 7.1 or higher operating systems. What phones work with Android Auto? New phones that have launched with Android Lollipop and newer will be compatible with Android AutoTM. 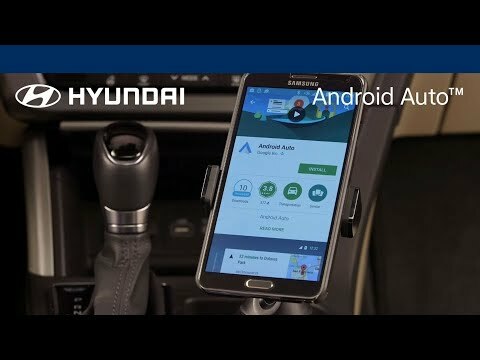 How do I connect my Android™ phone with my Hyundai to start using Android Auto™? Connecting your smartphone to your Hyundai is simple. Watch the video to learn how. 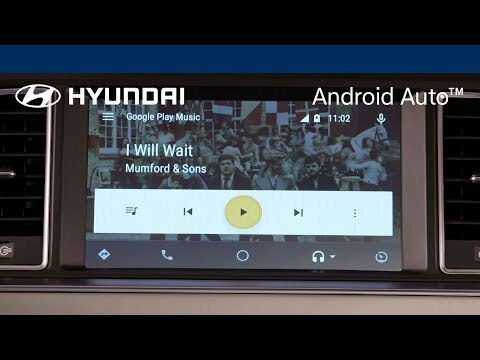 Learn how to connect your Android™ phone with your Hyundai vehicle to enjoy all the Android Auto features like Google Maps and Google Music. How do I make a call using Android Auto? Android AutoTM makes it easy to place calls with your eyes on the road and your hands on the wheel. Watch the video to learn more. Learn how you can use Android Auto to program your speed dial, check voicemail and make/receive calls in your Hyundai. What are you doing to make sure Android Auto™ is safe to use? By working together in the Open Automotive Alliance, automakers and technology companies are able to combine our experience to design a safe implementation intended to reduce driver distraction (with eyes-free technology, like voice control). By making the implementation seamless with the automobile’s existing controls, we’re addressing drivers’ current temptations to engage with their handsets while operating their vehicle. I’m having some trouble connecting my AndroidTM phone and launching Android AutoTM, what can I do? Watch this video to learn some troubleshooting tricks that may help. 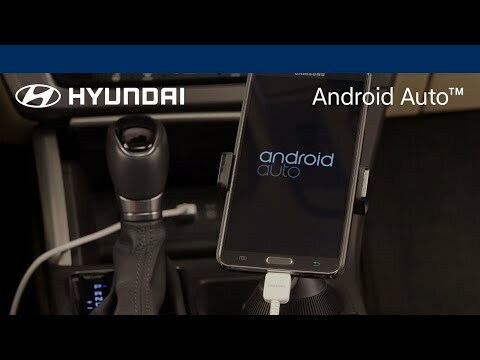 Having trouble launching Android Auto in your Hyundai? These tips can help. How do I use the music features of Android AutoTM? Android AutoTM allows you to take your favourite music on the go. This video will show you how. Android Auto in your Hyundai vehicle makes it easy to access the music and radio apps on your phone. Learn how to use it in this video. How do I use GoogleTM search with Android AutoTM? Watch this video to learn how to activate GoogleTMsearch using your vehicle’s steering wheel buttons or touchscreen. 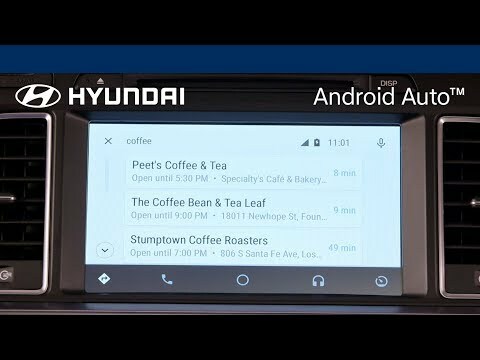 Learn how to look up Points of Interest using Android Auto in your Hyundai. What is the Bluelink App? How do I send a Point of Interest (POI) to my vehicle via the Blue Link Mobile App? In order to send a POI to your vehicle, log into the Blue Link App and swipe through the features to find “Destination/Send to Car” or click on the menu icon in the upper right corner. In the main menu, choose “Destination/Send to Car”. Next, press on the POI tab at the top of the screen (it should be the default screen). Enter your POI location in the search bar at the top and select the search button on your keyboard. Then, select the desired destination on the map, and select “Send to Car” to send the POI to your vehicle. What is Car Finder and how do you use this feature? The Car Finder feature is accessed through the Blue Link Mobile App. This feature allows you to locate your vehicle on a map if your GPS signal is within a 1-mile radius of your vehicle, and gives you the ability to save your vehicle’s location for future reference. To activate Car Finder via the Blue Link Mobile App, select “Destination/Send to Car” menu option. Then select Car Finder (the button with the car icon). You will be prompted to search or tag a new location. You will need to be enrolled in Essentials to access this feature. Is my vehicle equipped to perform Remote Start? How long will the engine idle during a Remote Start? Your vehicle must be equipped with Push-Button Start AND Automatic Transmission or DCT (Dual-Clutch Transmission) to operate the Remote Start feature. The vehicle engine will idle for up to 10 minutes and automatically turn off if you do not enter the vehicle with the smart key fob. Where can I update my maps? I just purchased my vehicle, and there are missing streets. Why are the maps out of date? Why is Hyundai offering free map updates in US and Europe and not in Canada? Although affiliated, we separate companies operating in our respective markets; products and services offered will often differ. Hyundai is dedicated to keeping our customers up to date and fully informed about their vehicles and the company. Several methods of communications are used, such as email, mail, phone calls, social media, etc., to communicate with our customers. These may include new vehicle information, exciting news and events, service coupons, maintenance memos, and feedback requests. Hyundai Canada will often send you these notices as well as your servicing dealer may send you service reminders or surveys. You may choose to call the dealership to opt in/out of these communications. Hyundai continuously strives to provide our customers with the best possible service and products, and we cannot do this without your help. We understand that completing a survey or posting a review takes precious time out of your day, and we truly appreciate any feedback you can give us. By gathering first-hand information about your experience with our vehicles, Hyundai dealerships, and company, we can continue to improve on the Hyundai ownership experience. How do I opt-in or out of Hyundai communications? You may choose to opt-in or out of our communications system. A recall is when a manufacturer determines that a vehicle model (or several models) has a safety-related defect or does not comply with the government-related safety standard. When this happens, the manufacturer will alert owners to the problem and usually offer a free repair. Keep in mind that a recall does not mean that the entire vehicle will be replaced. How will I be notified that my vehicle is part of a recall? We will send a letter to the home address associated with your affected vehicle. How do I check to see if there is a recall on my vehicle? Do I have to pay to get this recall completed? This recall will be completed for you free of charge. How do I get this recall completed? All recalls must be completed at a Hyundai dealership. Please call your local dealership to book an appointment to have the recall performed. 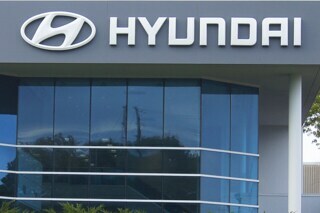 Procedural errors at Hyundai's testing operations in Korea led to incorrect fuel consumption ratings for select vehicles. As part of our corrective actions, we are adjusting fuel consumption ratings for approximately 130,000 vehicles and launching a fuel cost reimbursement program for customers that purchased or leased an affected vehicle prior to November 3, 2012. On average, for 2013 models this has resulted in a reduction in fuel efficiency by 0.3 L/100km. What can I do to maximize my gas mileage? Drive sensibly. Aggressive driving (excessive speed, rapid acceleration, and hard braking) wastes gas. It can lower your gas mileage by as much as 33% at highway speeds. Gas mileage usually decreases significantly at speeds above 100 kph. Keep your tires properly inflated. Under-inflated tires require more energy to roll, which translates into wasted fuel (it also leads to your tires wearing unevenly, which will shorten their lifespan). The recommended tire pressure for your vehicle is located in your Owner’s Manual if your vehicle is equipped with its original tires. If you have purchased new tires, please consult the guidelines provided by the tire manufacturer. Your Hyundai service professional can help you keep your tires at their proper inflation. Use cruise control. If your vehicle is equipped with cruise control, using it during highway driving may help to improve your fuel economy. What is Active ECO and how does it work? The Active ECO button allows your vehicle to perform at the optimal level to receive maximum fuel efficiency by controlling the vehicle’s shifting patterns. The system is activated by the Active ECO button located by the driver’s left knee. Is my vehicle less powerful when it is in Active ECO mode? The Active ECO system modifies engine and transmission control specifically for improved fuel economy. The vehicle may not accelerate as fast when it is in Active Eco mode because it is operating at a level specifically intended to lower the fuel consumption rate. For best vehicle performance and drivability, turn your vehicle’s Active ECO off. What is a dual clutch transmission? The dual clutch transmission (DCT) combines the best of automatic and manual transmission into one awesome technology. Drivers can enjoy the convenience of an automatic transmission, while maintaining control of the shifting. What should I know before using my dual clutch transmission (DCT)? When you turn the ignition on and off, you may hear clicking sounds. You may also hear clicking sounds when shifting into Drive and Reverse. While this sound is uncommon to conventional automatic and manual transmissions, it is normal in the Dual Clutch Transmission. The DCT utilizes two clutches controlled by electrical clutch actuators. The clutches are moved by a high speed reversible motor. As the motor operates, you may notice a faint hum. This is a normal sound for the DCT. The DCT features Hillstart Assist Control. When you stop on a steep hill, if you remove your foot from the brake pedal, the vehicle will remain stationary for two seconds to prevent the vehicle from rolling backwards. If you depress the accelerator pedal during the two-second interval, the vehicle will accelerate. If you wait more than two seconds, the vehicle will enter “creep mode” and may roll backwards if the hill is steep. You should always use the foot brake to hold the car on a hill until you are ready to drive. Using creep mode to hold the car on a hill may damage the clutch. When the DCT is operating in Drive, an indicator lamp in the center of the instrument cluster on the dashboard displays the gear shift position. If the clutch is overheated, the gear display will blink. To prevent clutch damage, the clutch is automatically released. If the clutch is released, apply the foot brake and wait a couple of minutes before driving. Ignoring the warnings can lead to transmission damage. When I start my car, do I need to let it sit to warm up? Your Hyundai does not require extended warm up. After the engine has started, allow the engine to run for 10 to 20 seconds prior to placing the vehicle in gear. In very cold weather, however, give your engine a slightly longer warm-up period, between 60-90 seconds. Letting your engine idle for long periods of time is bad for fuel efficiency. What is the SHIFTRONIC feature? The SHIFTRONIC feature allows the driver to manually upshift or downshift in a vehicle with an automatic transmission. You can use this feature in many circumstances, such as going uphill, passing another car, driving in inclement weather, etc. Note that if the driver upshifts or downshifts, the transmission may not make the requested gear change if the next gear is outside the allowable engine RPM range. Which cars are equipped with the SHIFTRONIC feature? Certain trims in model years 2013 or later are equipped with the SHIFTRONIC feature, which is also called Sports Mode in some models. How do I use the SHIFTRONIC feature? Using the SHIFTRONIC feature is simple. When your vehicle is in Drive, slide the shift lever into the SHIFTRONIC gear. Push the shift lever forward to upshift and backward to downshift. Some vehicles are equipped with paddle shifters. To upshift, use the paddle shifter on the right side of the steering wheel, which is labeled with a “+” sign. To downshift, use the paddle shifter on the left side of the steering wheel, which is labeled with a “-“ sign. Can I tow my Hyundai vehicle with another recreational vehicle (with all 4 tires on the ground)? Check with your Owner’s Manual to ensure your vehicle can be recreationally towed. If your Hyundai has four-wheel drive or has automatic two-wheel drive, your vehicle must not be towed behind a recreational vehicle. If your Hyundai has two-wheel drive and is equipped with a manual transmission, your vehicle can be towed recreationally. Please look at the precautions before attempting to tow your car. Where can I find information concerning the Towing Capacity of my vehicle? Towing and weight capacity information is also available in your vehicle's Owner's Manual in the Trailer Towing section. Hyundai does not recommend exceeding your vehicle's load capacity as this could have an adverse effect on performance, braking, durability, and driving efficiency. How to apply for a Hyundai Fleet Number (HFN)? If your company has five (5) or more registered, fully-licensed and titled vehicles in service, or if you're planning to buy at least three (3) new Hyundai vehicles at one time for company use, you may qualify for substantial savings. To request a Hyundai Fleet Number (HFN), and establish a Fleet Account with Hyundai Canada, please contact your local Hyundai Dealership. Can I work directly with Hyundai Canada Headquarters in developing my fleet plan? Customers are encouraged to work closely with the dealership of their choice. Your local dealer is well-suited to understand your fleet requirements and can create an operating plan that best suits your business needs. 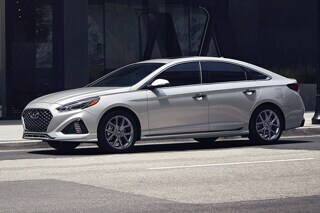 Can a Hyundai Fleet Allowance be combined with the current retail program? The Hyundai Fleet Allowance program is a stand-alone program and cannot be combined with the current retail offers.